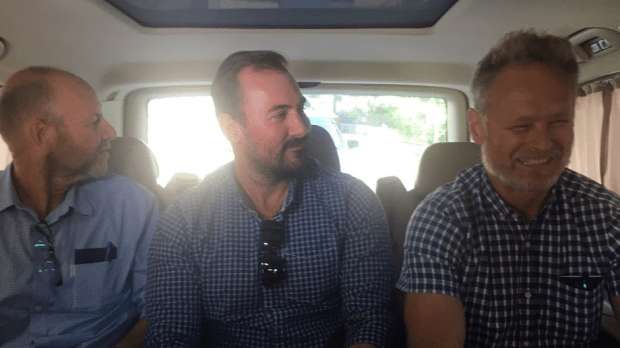 60 Minutes crew freed on bail.. The 60 Minutes crew is on its way back to Australia after Channel 9 struck a deal with the Lebanese father of the children it had planned on filming the recovery of. But they won’t be doing a full ‘tell all’ interview this week, says showbiz guru Peter Ford. 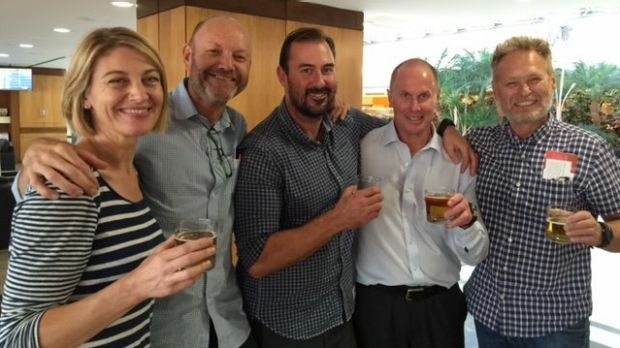 Channel 9 has reportedly paid at least $1 million for its crew to be freed from Beirut. Ford said they were currently on their way back to Australia. ‘They will in fact sleep in their own beds in Sydney tonight,’ he told Ross and John on 3AW Breakfast. ‘Everyone might be assuming that 60 Minutes are going to do the big extravaganza on Sunday night, that would seem to be the obvious thing to do, but they’re not,’ Ford explained. ‘They’ll obviously have to address it, but they won’t be doing the full sit-down, detailed interview with all the gory aspects of what they’ve been through. He also said Channel 9 needed to be wary in how it handled the situation. ‘They can’t present these people as homecoming heroes,’ he said. ‘There’s not a lot of sympathy for them. The mother of the children has reportedly agreed to give up all custody rights.